If you’re getting married this year and looking for some different ideas for your wedding, look no further. Here we share a few wedding trends we’re really looking forward to seeing this year. Planning your own wedding provides a great opportunity to bring your own style and personality to your day. From small details like name-embroidered shoes, or handwritten invites or amazingly unique wedding favours, we’re looking forward to more of the whimsical and the handmade coming to weddings this year. In the past at Pennard, we’ve seen couples have so much fun with this idea, hand-making some really unique and crafty creations – see amazing dinosaurs below. You may feel like these things are only small gestures, but a few fun, arty and frivolous props can relax and liven the atmosphere and help make everyone feel at ease. We loved the copper flamingos placed around the garden at one wedding last year. We only wish we could have them with us all year around. There is something beautifully romantic about wild flowers. Whether it’s the idea that they have been spontaneously picked or if it’s their natural, relaxed demeanour, we want more of them. Seasonal flowers of all shapes and colours for bride’s bouquets, and lots of greenery, ivy, ferns, moss, eucalyptus leaf for centrepieces, arches or aisle seats. Beautiful. A little pizza with your champagne? 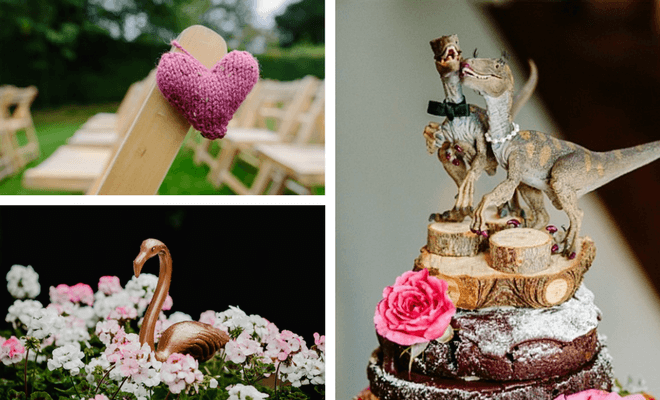 There have been plenty of new food ideas turning up, quite literally, at Pennard weddings recently. Better than your average too. They entertain, light up, feed and humour guests just at that hour of need. 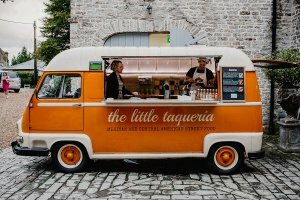 Food trucks like La Taqueria taco van (below) can park up outside to serve late night food. Or if you want something extra inside the venue, individual food stations serving delicious, help-yourself-style canapés also work really well. 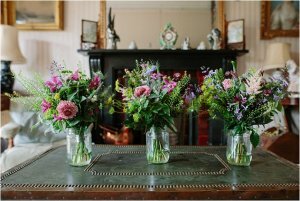 Both ideas bring people together, require minimal scheduling as guests can help themselves at whatever hour they give in to temptation and are perfect additions for adding a bit of colour to your surroundings. Just make sure, whatever happens, the bride has a plate. And an apron! Whether it’s Grandma in a giant pair of shades or all the women dressed like Elvis, wedding photo booths create instant fun for the whole party and great mementos of the day. We’re loving their evolution from Post Office photo booth, to what they are today. You now have so many options to choose from. Perhaps you’d like to create a staged scene with an impressive backdrop and props? Or if not maybe a slow motion film of you and your gang pulling all sorts of silly, bendy moves sounds more like you. The result is always totally unpredictable which is what makes them so great. 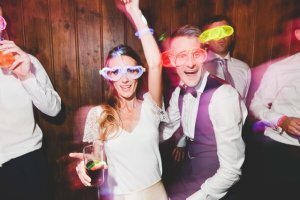 Whatever format you choose, photo booth creators have certainly upped the tempo, creating even more innocent fun for your guests to laugh about all the way home. Gone are the days of most wedding photographs being formal, staged shots of family members sitting in chairs. (Raucous cheers from the photographers!) Spending large parts of the wedding trying to herd guests into position is not fun for you nor the photographer. And the result is stressful and often a very unnatural shot, which is why wedding photographers often lean towards the more relaxed style of photojournalistic wedding photography. They capture events from a distance, documenting the whole day as it naturally takes place. 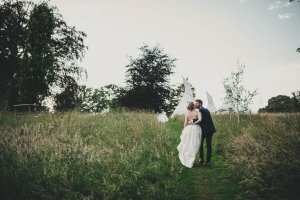 We’ve seen photographers from recent weddings at Pennard capture much more of the complete picture rather than staged shots, even of the wedding couples themselves. You get more natural images and much more of a sense of the atmosphere too. 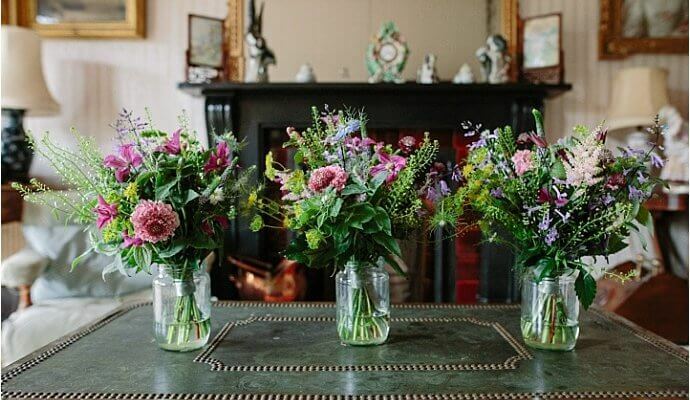 The location of choice for Vogue, Marie Claire and The English Home magazine, Pennard House is a beautiful, family-owned country estate, just waiting to host your perfect wedding, exclusive business conference, private party, film or photo shoot. A hidden gem in the rolling Somerset countryside, our Georgian home is the epitome of dreamy English elegance. Contact the team today about planning your next event with us.